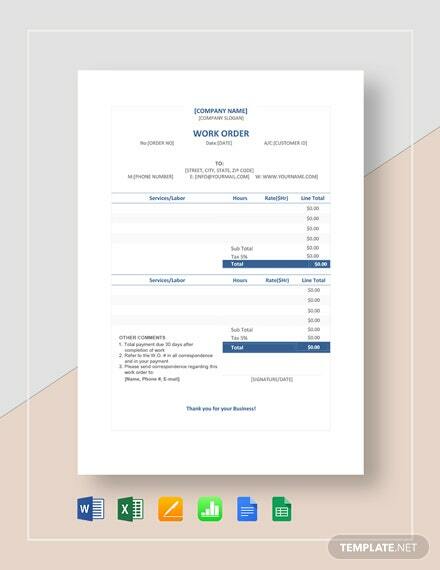 Work orders can either be a task or job that's requested by a customer or it's something that happens internally within an organization. 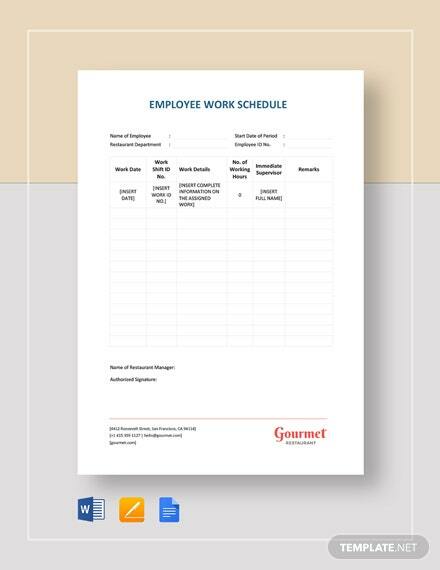 In any case, those who are in charge of providing +More the service will want all the details in order to properly do what it is needed. 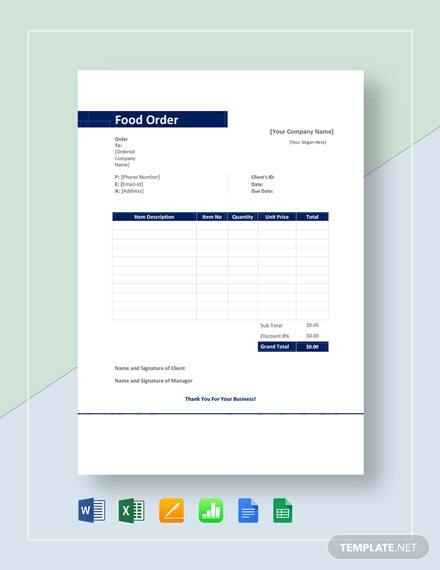 And that's why businesses have work order forms in order to contain all of that information. 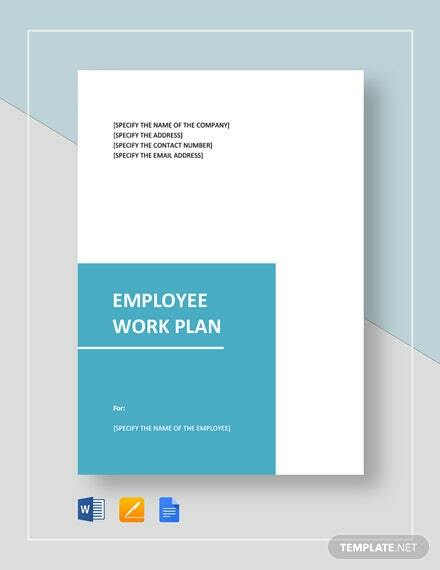 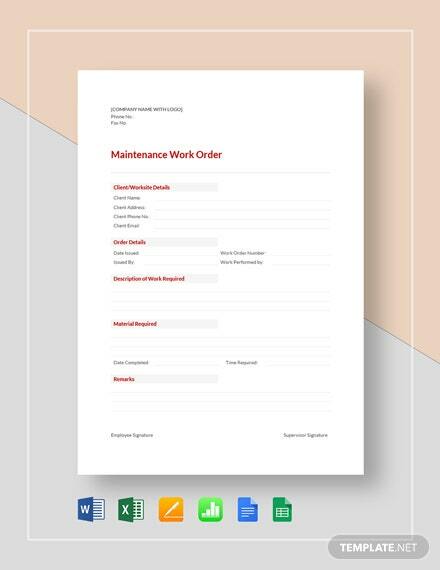 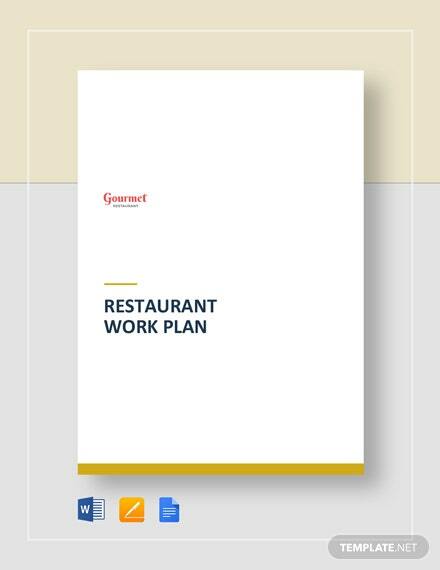 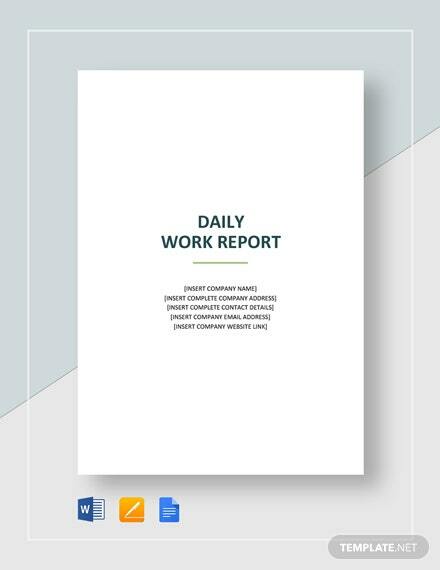 This template will help you create a work order that details everything from the type of job that needs to be done, how it must be done, who issued it, and so on. 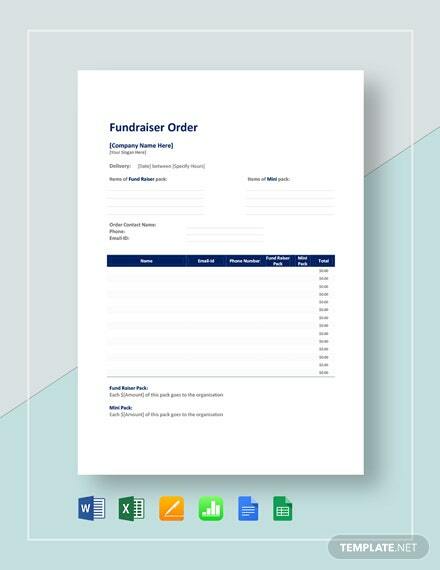 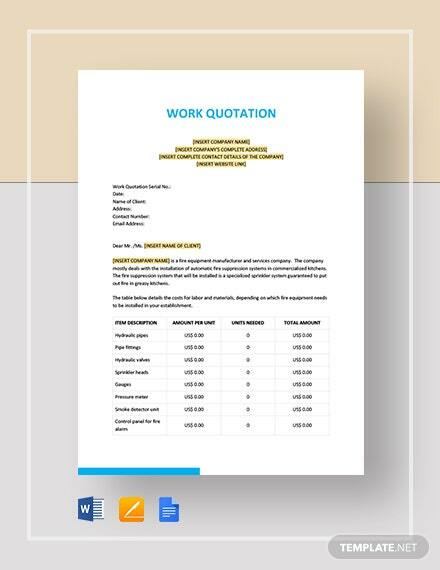 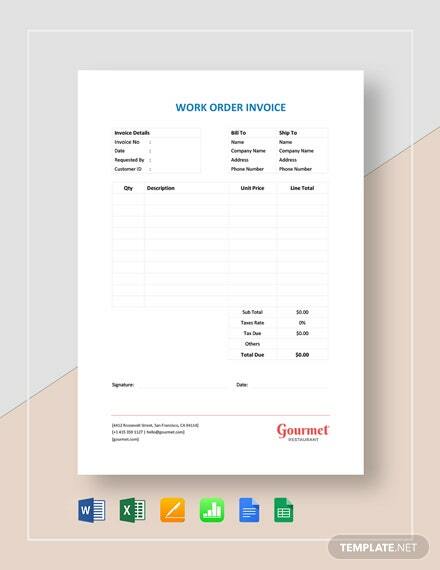 So download and use this template so that your business can handle or work-related requests easily.